Exceeding educational standards is our goal. Our accreditation ensures Sacred Heart Catholic School is meeting or exceeding the highest educational standards for our students and their families. Nationally recognized school accreditation for the highest educational standards. Sacred Heart Catholic School is AdvancED accredited as a school and the Diocese of Richmond is AdvancED accredited as a school system. AdvancED is the largest community of education professionals in the world. They are a non-profit, non-partisan organization that conducts rigorous, on-site external reviews of Pre-K-12 schools and school systems to ensure that all learners realize their full potential. 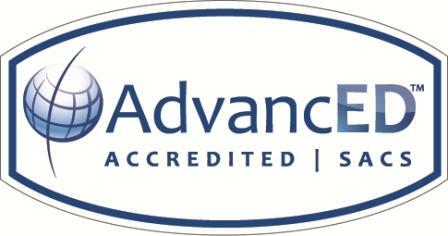 While their expertise is grounded in more than a hundred years of work in school accreditation, AdvancED is far from a typical accrediting agency. Their goal isn’t to certify that schools are good enough. Rather, their commitment is to help schools improve. Combining the knowledge and expertise of a research institute, the skills of a management consulting firm and the passion of a grassroots movement for educational change, AdvancED serves as a trusted partner to 34,000 schools and school systems (employing more than four million educators and enrolling more than 20 million students) across the United States and 70 other nations. Interested in learning more? Ask us a question. Contact us during regular school hours at 434-793-2656 or anytime at Request Information.